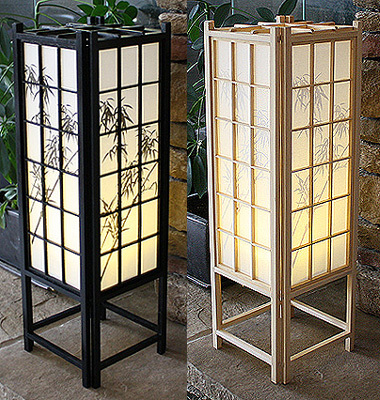 23" Traditional shoji lamp is made of pellon shade with Bamboo design. Solid wood frame with an in-line switch cord. UL listed, use a 60-watt bulb. Available in two colors.